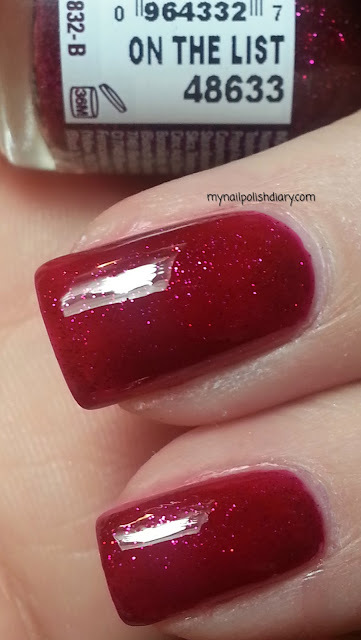 Orly On The List was a holiday 2012 mini I picked up during the holiday season that year at Sally's. I didn't see it in regular size so I don't know if it was just available in mini or if I missed something. Orly On The List is nothing groundbreaking or even new in the nail polish world in terms of color and design. It's a pretty deep red jelly with pink shimmer. I am sure I have at least one other polish that's a dupe or at least a sister to this. The formula was really nice though. And it wore like a dream. It looks especially pretty in the sunlight. OPI Love.Angel.Music.Baby. is from the just released (January 2014) Gwen Stefani collection. OPI Love.Angel.Music.Baby. or L.A.M.B., the name of Gwen's fashion design company, is a gold satin matte finish with silver shimmer. It's very unique and extremely gorgeous! I am not a gold lover at all, but this is one I knew as soon as I saw the press release pictures I was going to need to own. It is so lovely. It seems...delicate? maybe. I don't know. I just know it's TDF. The formula is so nice on the satin finishes and they dry quickly. I did my normal base coat procedure and then added L.A.M.B. and it lasted great. No chips. Just pretty-ness. OPI I Knead Sour-Dough is from the fall 2013 San Francisco collection. OPI I Knead Sour-Dough is a brown based red with red shimmer. It has kind of a funky look to it. Funky in a good and fun way. The shimmer wasn't super evident unless the lighting was good. 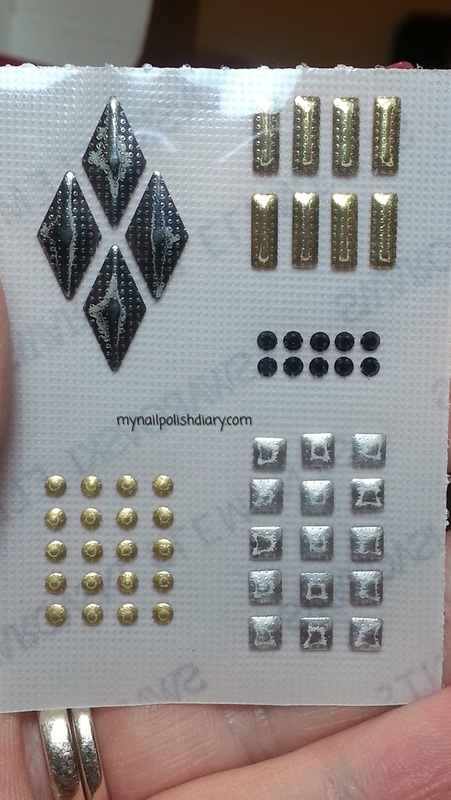 It looks good either way, though the shimmer makes it more awesome of course. I had no trouble with formula and application. Wear time was great for my normal 2-3 days.